When land is scarce or land values are high, developers often look to above- or below-ground parking garages to meet a project’s parking demand. Specialized parking planners prepare alternative layouts for a given parcel of land, seeking parking space supply alternatives that maximize the significant monetary investment in the parking structure. In selecting the best parking structure alternative, an important measure of comparison is the “efficiency” of a layout, usually expressed as the gross square feet of parking structure area, divided by the number of parking stalls. Parking lot layouts, which provide for efficiencies of between 300 to 350 square feet per parking stall are typical. It is not uncommon, however, to find less efficient parking structures requiring 400 square feet per parking stall or higher. Automated parking facilities can achieve better parking efficiencies, with reports of 200 to 250 square feet per parking stall. Factors affecting the efficiency of a parking structure include the size and geometric configuration of the parking structure’s site; the layout of the garage aisle and circulation system, including entrance and exit locations; and constraints of the structural system, such as the column layout. 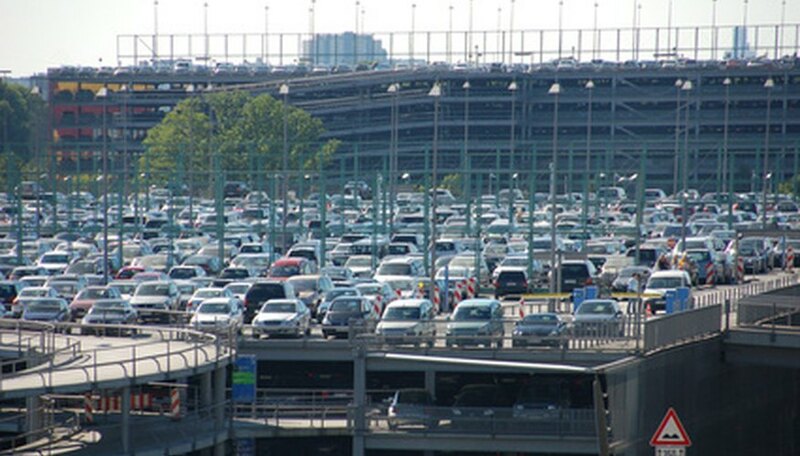 Typically, larger parking structures can achieve greater efficiency than smaller structures. Schaefer, Mark. "Parking Garage Square Footage Per Car." Sciencing, https://sciencing.com/facts-7576253-parking-square-footage-per-car.html. 07 August 2017.